When my favorite food bestie call and asked me to join him for dinner, I was in: we decided it was a good night for some seafood so headed off to the Fish Company. We started with the steamed clams, and a dozen raw oysters, it was still happy hour so the dozen oysters were a steal at 5.99. 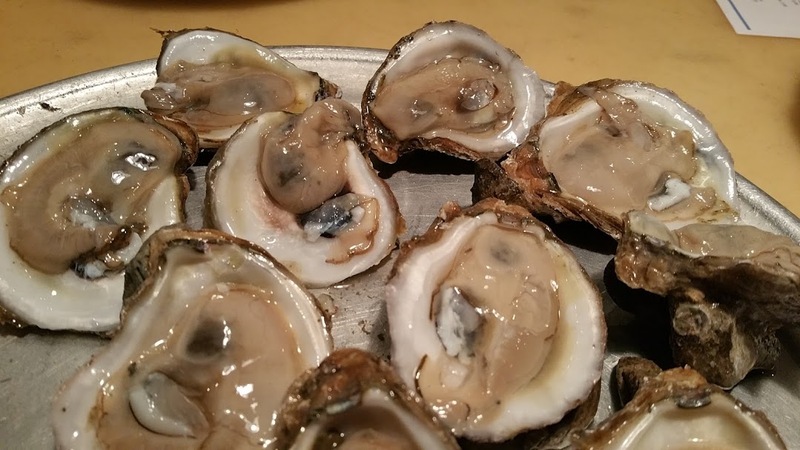 I inquired about the size of the oysters, and was told they were “large” I forgot that is a subjective description. Not only not large, but not clean and the taste was just a tad off. By the time I was number three into my dozen, I was done. They were so full of grit, I drank 2 glasses of water to wash it away. At the end of the meal I was not charged for them, which is a nice gesture. 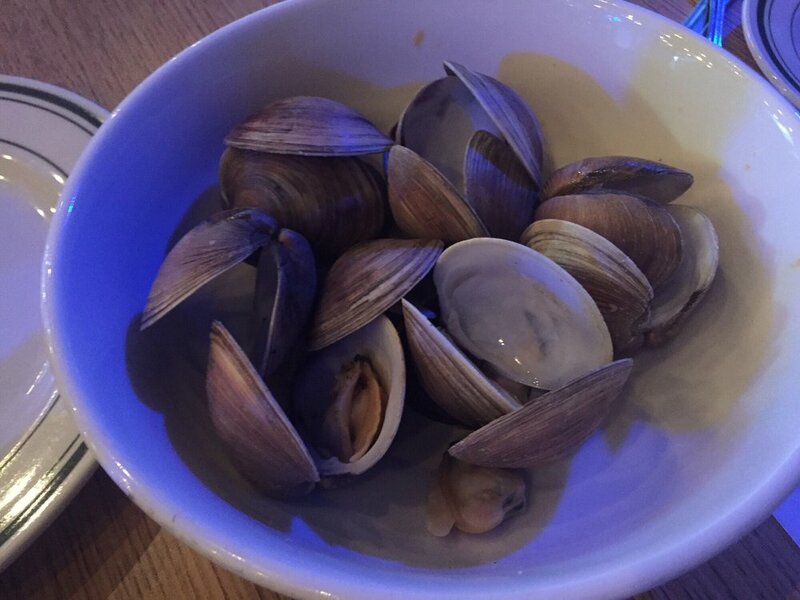 The clams, were somewhat better but small and overcooked for me. My companion said they worked for him. 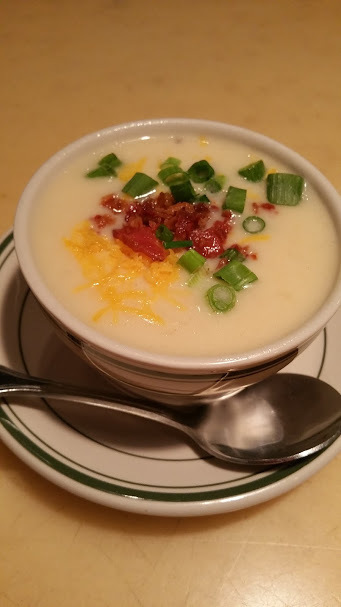 He also had the Baked Potato soup, this was a nicely done, creamy, firm pieces of potato and just the right balance of cheese, bacon and onion. I was thankful he shared with me. It was the best part of my meal. 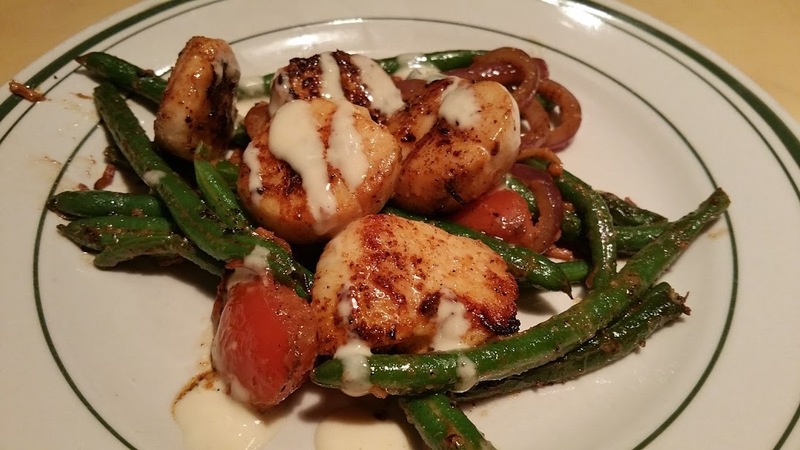 Next choice for me the Sea Seared Scallop appetizer, over blistered green bean medley with ginger miso dressing, priced high for the quality and quantity of the dish at 13.95. Fish overcooked and not all that tasty. 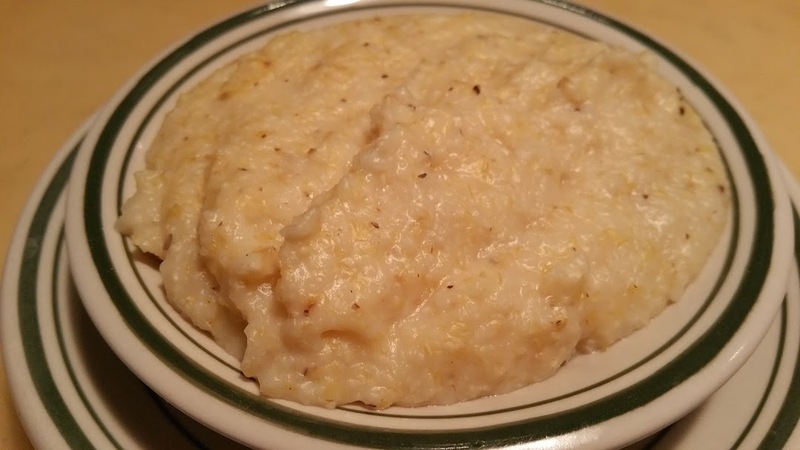 Along with the scallops I selected a side of Cheese Grits. This must not have been my night to make good dinner selections. When the dish arrived it looked like a large glob of paste. Perhaps it sat under the heat lamp too long. The taste was delightful, but the thickness made it less the palatable. 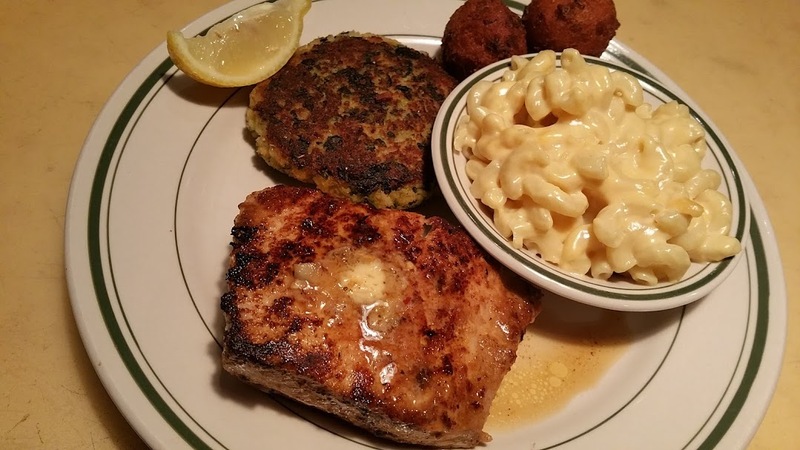 My companion fared much better, his choice the Cobia, with Grilled Spinach Cake, Mac n Cheese and Hush Puppies. The fish was moist and sweet, a dense fish that I always enjoy. We both thought the Spinach cake a little strange. I passed on the Mac n Cheese, I had my fill of thick stuff with the grits. 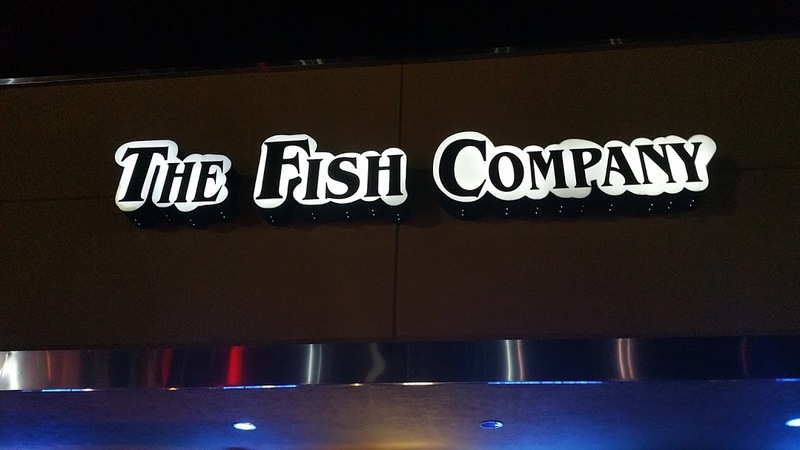 I have heard and read many positive comments about the Fish Company. Sadly this was not my experience. There are places in town, I much prefer so I don’t think I will be back here anytime soon, unless invited. As always, come and give it your own seal of approval, or not.